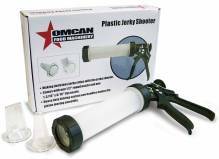 Make tasty and flavourful jerky stripes and sausage products with one of Zanduco’s plastic or aluminum jerky shooters! 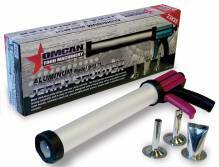 These jerky guns provide your butcher shop and commercial food establishment with lasting reliability, and the ability to make delicious jerky! 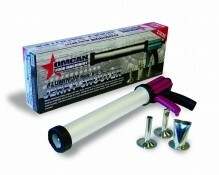 Easy to clean, these heavy-duty driving systems on the handles makes the piston move smoothly. The included attachments make the process of making salty and spicy snacks stress-free! With a 1.5lbs capacity, these jerky shooters are sure to bring your butchery or meat manufacturing operation versatility in large volumes.